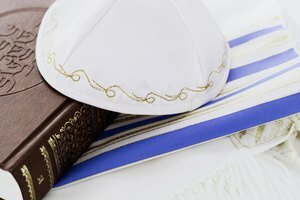 Can Non Jews Attend a Jewish Funeral? Show respect for the Pentecostal church by learning its proper etiquette. The World Christian Database estimates that a quarter of the 2 billion existing Christians are members of Pentecostal churches. Pentecostal churches emphasize a personal, direct relationship with God through gifts they believe are given directly from the Holy Spirit including baptisms, prophesying, divine healing and speaking in tongues. Knowing the proper etiquette for a Pentecostal church service can be the difference between embarrassing yourself and helping create a respectful environment of worship for others. 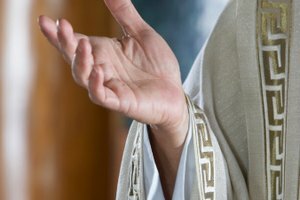 A few things are unique to the Pentecostal church that you do not find in other denominations of Christianity, and it's imperative that you react respectfully if you are taken aback or even disapprove of some of its traditions. Speaking in tongues is common during church services, but this is handled differently by individual churches. Simply remain silently at your pew throughout this part of the service if in doubt. If you are disturbed by it, simply leave the service as discreetly as possible, but never vocalize your shock or interrupt someone while they are speaking in tongues. Common sense prevails when deciding what to wear to most Pentecostal churches. If in doubt, asking the pastor at the church you hope to attend is perfectly acceptable. Generally speaking, men usually wear suits, and women wear conservative dresses. It's fine to wear something a little more casual as long as it's modest. Dress code varies by church and what its location and individual customs are. While wealthy communities may enjoy coming to church dressed in fine clothes, poorer communities may emphasize that congregation members should dress as they are. Offensive or suggestive slogans or statements on shirts should always be avoided. When you arrive at church, greet the minister if he is in the communal area. An usher may show you to a pew at this time. If not, simply enter the nave, the main part of the church where the congregation sits for the sermon. Unless they are marked otherwise, you can sit in whichever pew you'd like. Consider sitting in the middle of the pew if it's going be a crowded service so that those who need to get up frequently can sit on its end. It's a good idea to bring your Bible so that you can follow along with passages that may be quoted or cited during the church sermon. It's considered polite and acceptable to open up your Bible during the sermon and follow along. 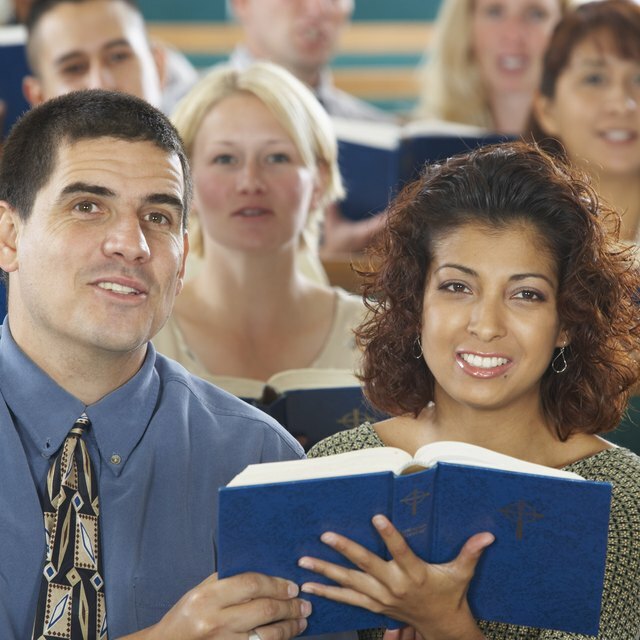 Some churches may even welcome reading aloud along with the preacher during his own reading of certain verses. Try to keep movement at a minimum during the service, but go to bathroom or walk out if you need to do so. Try to be as quiet as possible, doing such things as walking on carpet instead of tile if possible so that the steps are muted. If you know that you will need to leave early or excuse yourself for part of the sermon, sit on the back pew to avoid disturbing others. Eric Herboso is a nonprofit social media expert with articles appearing in national print magazines and throughout the blogosphere since 2003. He regularly gives talks and seminars at national nonprofit conventions, helping charities optimize their effectiveness through social media. He is currently working on a graduate degree in applied ethics from Stanford. What Are the Duties of a Catholic Church Usher? Herboso, Eric. "Church Etiquette in the Pentecostal Church." Synonym, https://classroom.synonym.com/church-etiquette-in-the-pentecostal-church-12086086.html. 29 September 2017. 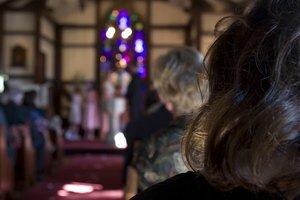 How Should I Act Around My Boyfriend's Family if His Grandma Passed Away & I'm Going to the Funeral?